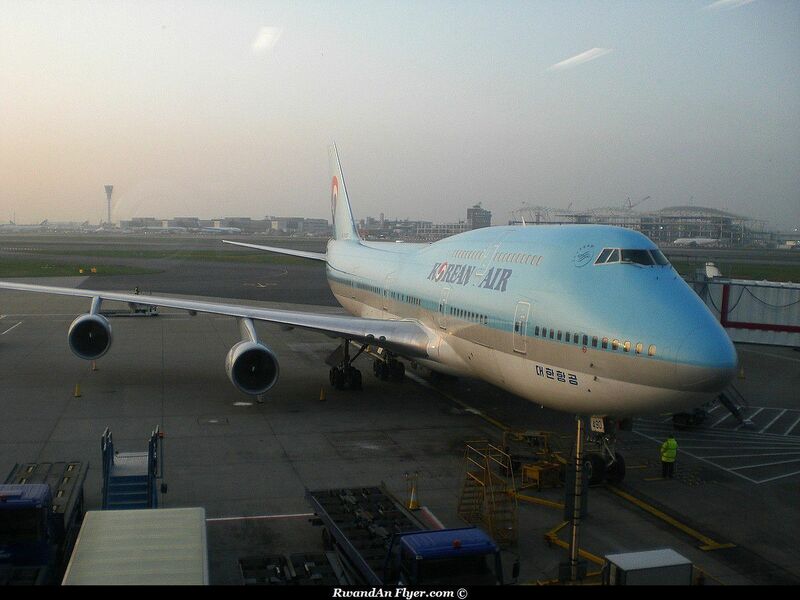 Korean Air B747s "are becoming rare" in Europe. The airline replaces them by A380s, A330s or B777s. East African Spotter March 2011.